If you’ve been longing for show-stopping tresses and amazing style, our hair extensions at The Retreat Salon in New Orleans are the perfect way to make it happen. Our beautiful 100% human hair extensions are available in lengths of 18 to 22 inches and will provide fantastic volume and length, transforming your hair into a masterpiece. Each bundle contains 12 individually pieced sections of hair. They are installed with an innovative beading system which minimizes damage to your natural hair. 4-6 bundles, $60 per bundle cost, are normally recommended for a full head. The first installation will take about 3 hours for a flat fee of $300. What type of hair works best with extensions? Our application system works best with hair that is mid-length. Coarser texture hair will have less maintenance than finer hair. With proper care and maintenance, your extensions will last 6 to 12 months. 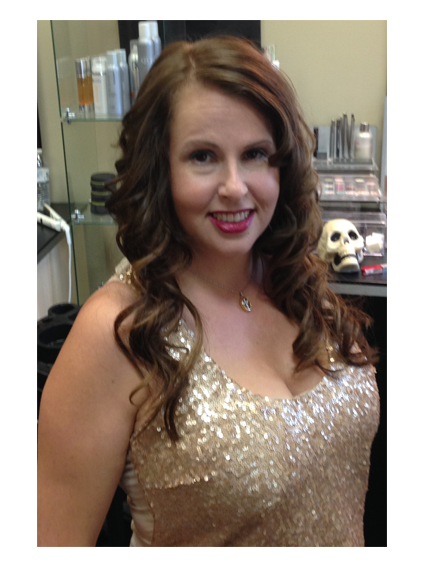 You will need to return to the salon approximately every two weeks for a maintenance visit. Our stylists will make adjustments to the extensions as your hair grows and reinstall bundles that have fallen or grown out. Your extensions can be colored for root maintenance, but we do not recommend all over color processing. If you would like to have your hair colored, make an appointment with one of our stylists at The Retreat who will be happy to select a high quality hair color formula to use for your service. We do not recommend perming extensions. Use a gentle, sulfate-free shampoo and apply light conditioner on ends only as needed. Do not apply conditioner at the roots. Wear and tear can be extended with use of an aerosol or dry shampoo and braiding your hair while you sleep. For brushing and styling, use a special “Wet Brush” or utensil that is delicate with knots. It is best to style with mouse, blow dryer and curling iron. Enjoy!